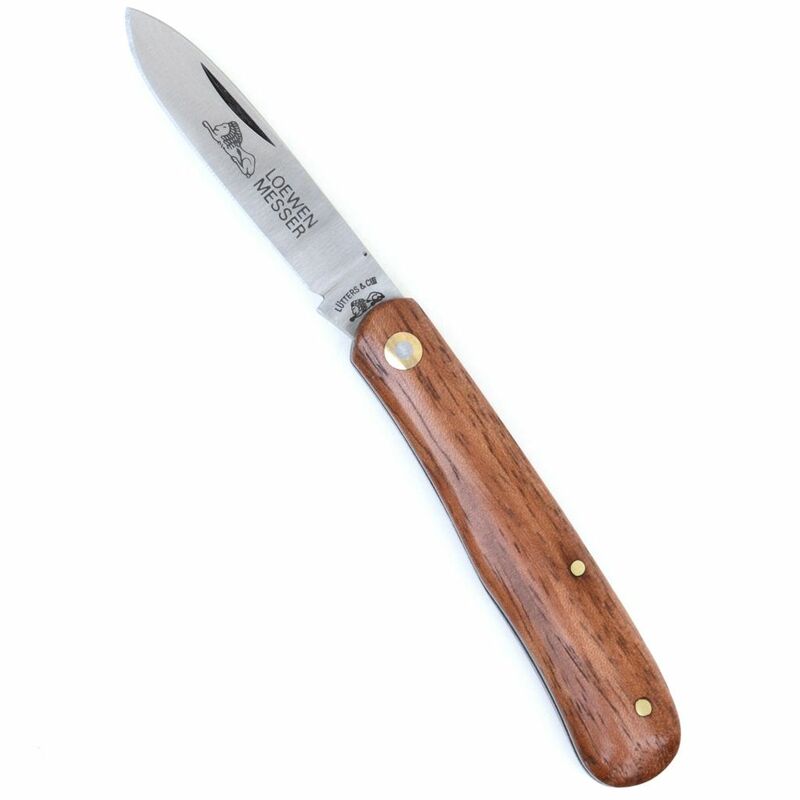 Shop and buy this Loewen-Messer 1040 folding pocket knife, hand made in Solingen, Germany. 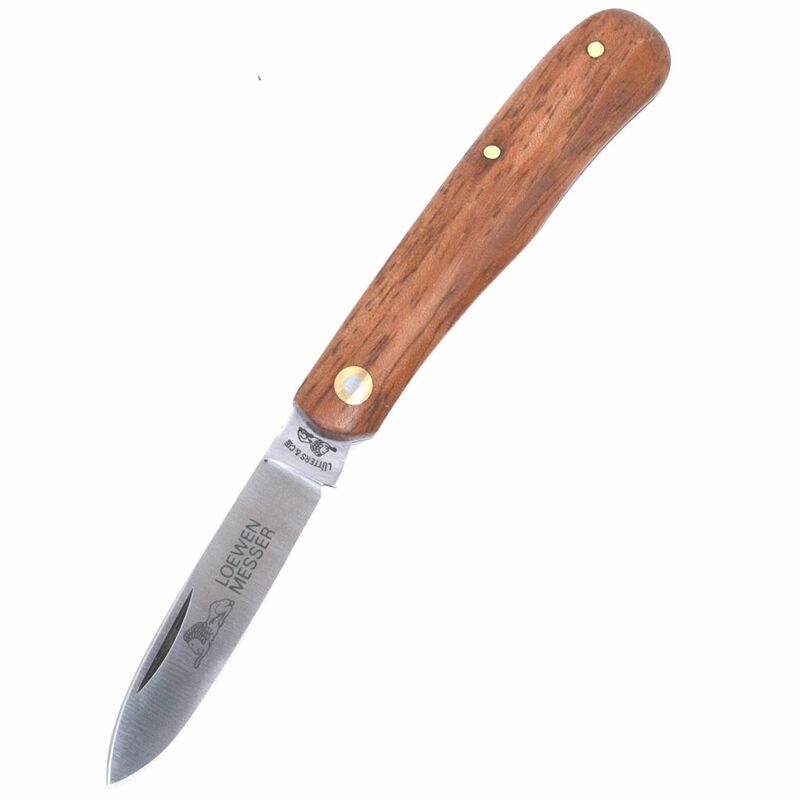 Measures 8.5 cm closed, 6.6 cm (2.6 inches), flat grind, C75 carbon steel, spear point blade. 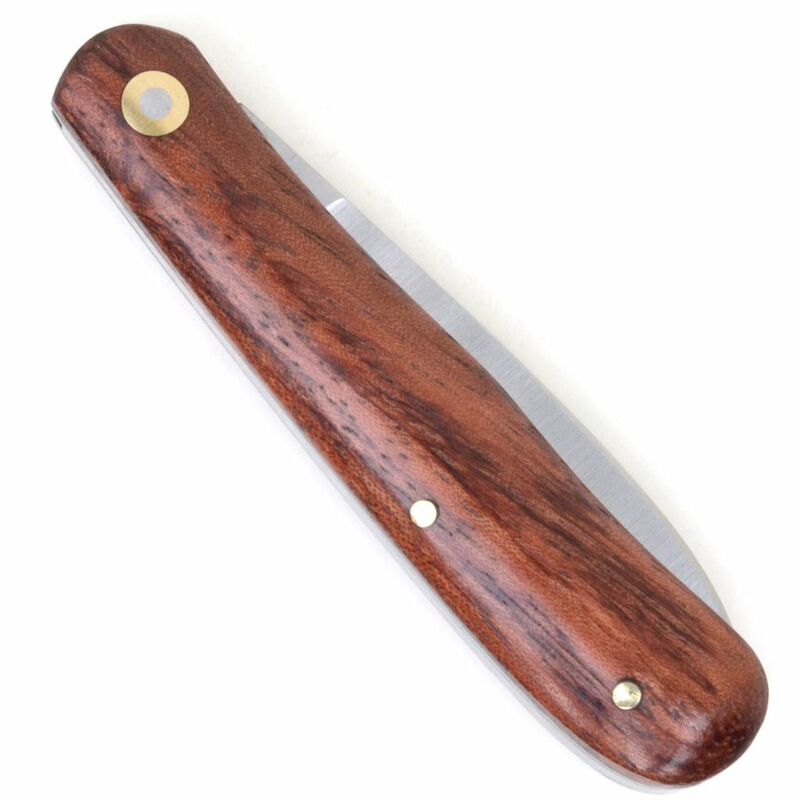 Steel handle liners, polished, European Bubinga wood handle. 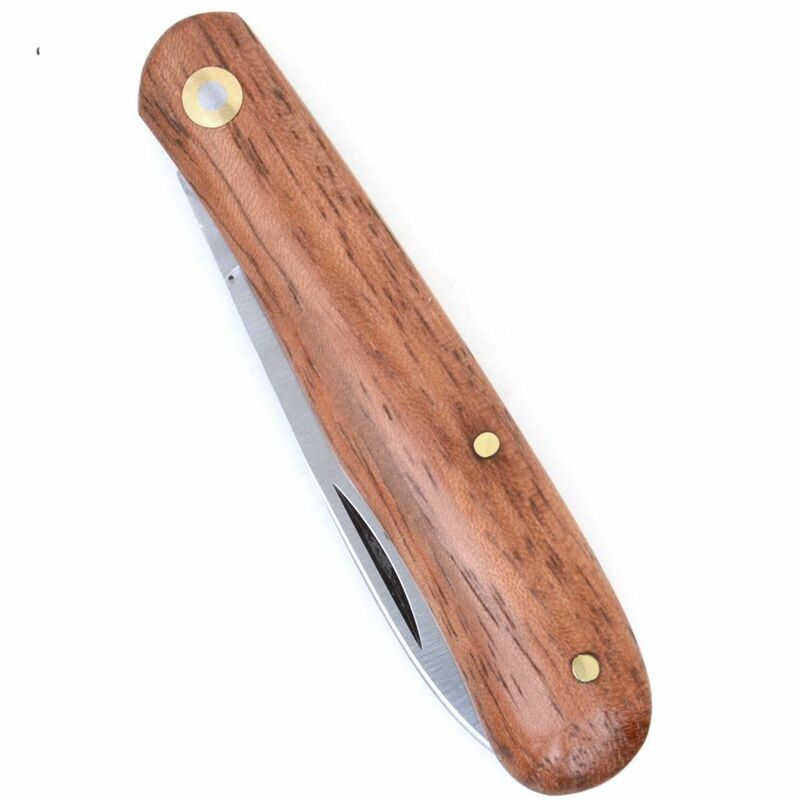 ​​​​​​​Note: carbon steel knives should be cleaned and oiled after use to prevent corrosion. Surface corrosion can be removed with fine sandpaper. 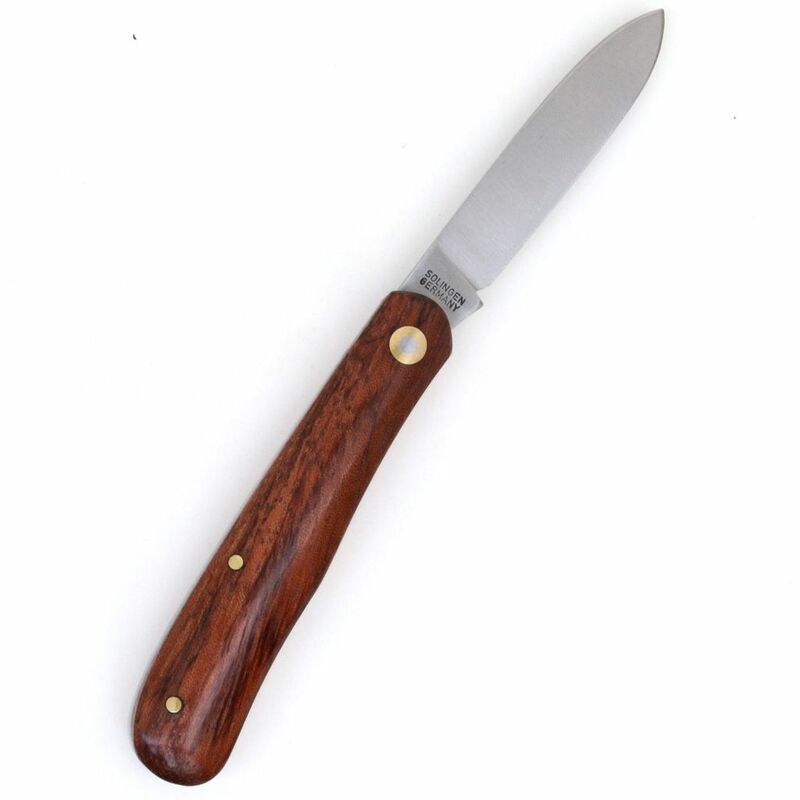 Natural wood grain contains lines and grooves, this is not a fault. All measurements are approximate.